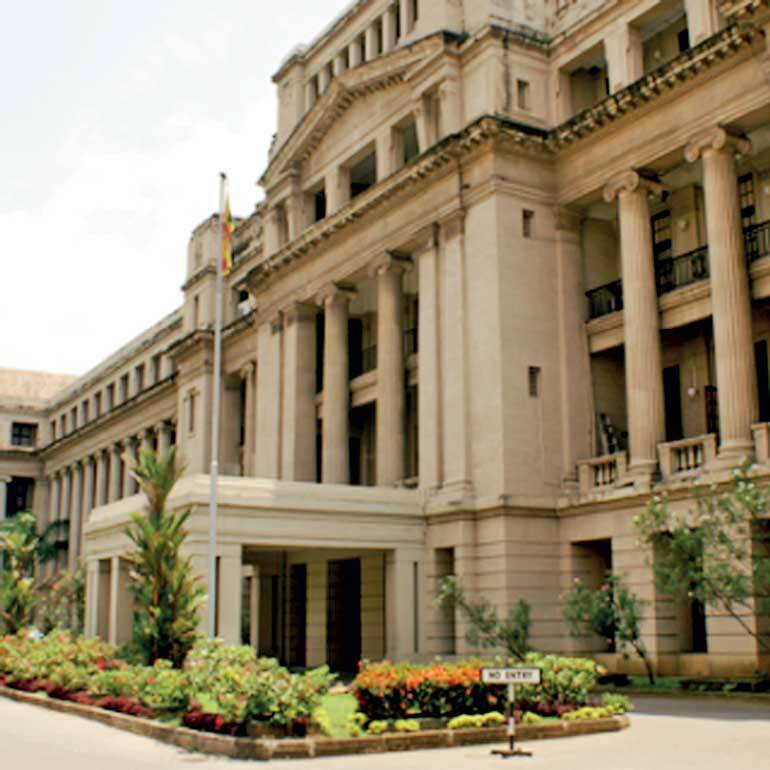 Despite predicting a 4.7% growth for 2017, the International Monetary Fund (IMF) in its latest report has flagged several vulnerabilities including public debt management, delays in energy pricing reforms and the need to possibly tighten rates further as key challenges for Sri Lanka. In its latest Staff Country Report released on Friday, the IMF gave a detailed analysis on the Sri Lankan economy and praised its resilience in 2016 and conceded that, where targets were missed, authorities took meaningful action. However, it pointed out, further monetary tightening would head off the second-round effects of currently high inflation, rein in credit expansion, and protect against potential capital outflows from further US rate hikes. “Other measures to slow credit growth include raising the reserve requirement and employing macro-prudential instruments, such as: broader use of limits on loan-to-value ratios in vulnerable sectors, and a credit limit or increasing risk weights in the housing sector. The authorities agreed to closely monitor credit growth, particularly to ensure that credit growth was directed towards productive economic activity, and to tighten monetary policy further and use macro-prudential measures, if necessary,” the report said. Key risks to the program are still present, the IMF said, referring to revenue slippage or failure to implement key revenue-related reforms, weaker than expected net capital inflows and reserves shortfall, lower than expected growth, and larger than expected losses at State Owned Enterprises (SOEs) and lack of progress in SOE reforms. Real GDP growth is projected to recover gradually to 4.7% in 2017, supported by the continued momentum in construction and service sectors since late 2016, the IMF said. The Central Bank has already downgraded predictions to about 4.5% growth on weather related vulnerabilities triggering increased imports. Headline inflation peaked in March but will likely stay above 5% for much of the year due to high food prices and base effects from the VAT rate hike in 2016. The current account deficit is expected to widen slightly to 2.5% of GDP due to drought-driven increases in oil and food imports, and higher capital goods imports. IMF said public debt rose from 82 to 84% of GDP between 2015 and 2016 largely due to exchange rate depreciation and an increase in guaranteed debt. In 2017, public debt is expected to rise slightly to 85% of GDP due to still large fiscal deficit and exchange rate depreciation. 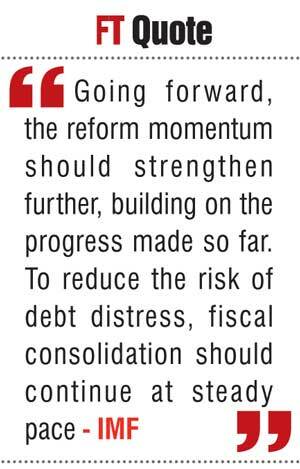 “If contingent SOE debt is included, total public debt would rise to 94% of GDP and decline below 90% of GDP by 2020. The likelihood of such a scenario has increased due to delays in energy pricing reform. External debt remains sustainable but is high at 57% of GDP and vulnerable to currency risks. And rollover need will increase as external sovereign debt begins to mature in 2019, calling for advance planning and medium-term debt management,” it warned. Economic growth held up in 2016 despite the fiscal consolidation and weather-related shocks. Growth was supported by robust activity in the industry and service sectors, and improved confidence following the EFF program agreement in June. Despite some delay in passing the VAT amendments, the authorities met the program targets on tax revenues and the primary balance. However, the end-2016 reserve target was missed reflecting the resumption of portfolio outflows late in the year and intervention to limit currency depreciation. Progress has been made in most fiscal-structural reforms, but energy pricing reforms have stalled due to political resistance. The authorities remain committed to the economic reform program and undertook meaningful corrective actions where targets were missed. As a prior action, the new Inland Revenue Act (IRA) will be submitted to parliament. The authorities also strengthened tax administration and are conducting a diagnostic review of VAT. SOE oversight is improving, and energy pricing reforms are being recalibrated to address earlier setbacks. The Central Bank took steps to address the missed end-2016 reserve target by resuming since March 2017 the build-up of reserves. In response to high inflation, the Central Bank tightened monetary policy in March 2017, and stands ready to tighten further should inflation or credit growth stay high. This would require legislating and implementing the new IRA, strengthening the VAT system and administration, and making further progress in expenditure management and SOE reforms, the IMF advocated. Monetary policy should be tightened to rein in inflation and credit growth, and reserve accumulation should continue while allowing for greater exchange rate flexibility, it said. The Central Bank said yesterday it has permitted licensed banks to grant concessions to their borrowers who have been affected by the recent floods, adverse weather conditions and connected circumstances with a view to facilitating the recommencement of their businesses and normalisation of their activities. nWaive the penal interest for this period based on information received by the Central Bank. Many borrowers who have been affected by the recent floods are not aware of this concessionary scheme and, therefore, have not received these concessions. Such borrowers are informed to contact their bank branches in this regard.